The Eureka Forbes Water Purifier Service Center Phone number is mentioned below for the customers to register their complaints/issues that they are facing with regard to Eureka Forbes Water Purifier. Customer Service Email : info@eurekaforbes.com. Eureka Forbes Customer Care Numbers are provided for customers Here who would like to Contact Eureka Forbes India for any Eureka Products or Eureka Forbes Services related queries, issues and complaints to be solved. Eureka Forbes Warranty is provided by the company to meet any issues that may arise with the products that you have purchased from the company. Eureka Forbes has a strong network of Service Team also known as Euro Smile through whom the products are maintained and serviced by the Company. Aqua guard Water Purifier Warranty – 12 months from Installation Date and 15 months from Date of Sale whichever is earlier. Eureka Forbes was established in the year 1982 with its headquarters located in Mumbai, Maharashtra. It manufactures wide range of water purifiers, vacuum cleaners, air purifiers, security solution, fire extinguishers, solar lighting and lifestyle automation solutions. Eureka Water Purifiers are featured with the innovative technology and include many advanced features. 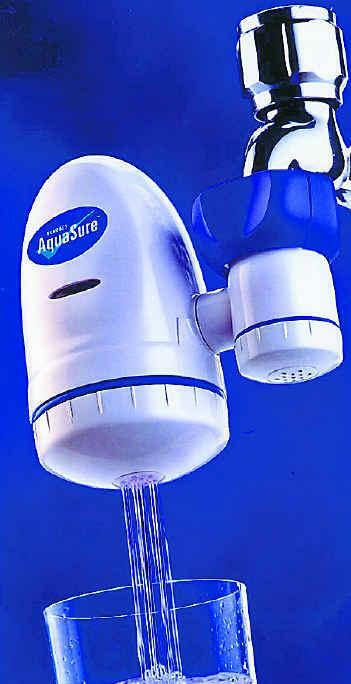 Aqua guard and Aqua sure are the types of water purifiers offered by the company. They are not only involved in removing the disease causing bacteria, virus, cysts and protozoa but also helps to separate new age contaminants like heavy metals like arsenic, mercury, lead, pesticides and many other organic chemicals. How would I know what type of water purifier is needed for my home/office? You need to get your water tested to find out what water condition you are faced with. Once you get the results you can pick a purifier that is equipped with the right technology to treat your water. How far it is true that Aquaguard removes the essential minerals in water? No, it will not reduce essential minerals from water. The specially designed Mineral Guard Technology produces electronic impulses which prevents scaling on the quartz glazz tube of the UV chamber and aids to retain the essential minerals in water. Is it necessary to boil or filter purified water again? No! This is a complete purification system which gives you pure and safe drinking water. Just fill your glass and drink! Also boiling purified water will not only alter the taste of the water but also remove essential minerals and nutrients. Also visit face book and Twitter fan page of eureka water purifier. Head to the URLs provided below. For more information about eureka forbes water purifier models , eureka forbes water purifier price , visit the website. I have purchased RO last year. But till date privileged free servicing is not provided. Lot of assurance was given by your representative, but no one was bothered after the purchase. Please send some one for the servicing. Already 15months has been lapsed. I have purchased a water purifier from eurekafobes 8 months ago.And in this 8 months the water purifier was having problems for 7 times.Every time for last 6 times it had been solved and lastly I was told that the machine will be replaced if any further problem occurs.Same happened and I complained one month ago.Today they came and wanted to rectify the problem forgetting that they said that they will replace the machine.I should advice every one not to buy any kind of product from this company and rather choose other brands available in the market.This company is a big lier and make people fool in name of service.Also they sell faulty product so that the enduser faces problem every time.So dear readers DO NOT PURCHASE any product from And Eureka Fobes. we are using aqua guard water purifier for the last 3 yrs without carbon change/ cleaning due to non availability of your service people in idukki – dist , kerala. pl provde thr right ph no. and contact person. FREE SERVICES IN FIRST YEAR FOR BETTER PERFORMANCE OF OUR PRODUCTS. COMPLAINT NO 66202742 DATED 14.9.12 FROM YOUR SIDE. CONTACT EUREKA FORBES CUSTOMER CARE NO. 39883333. I bought Aqua reviva on 10-jul-2010 and installed the same. It has got a technical problem . I made a complaint on the next day 11th July, they promised me to attended to my complaint within 24hours. But even after repeated followup till today 13th july no one has attended to my complaint. My complaint no. is 83194437. I do not know what service they provide and what quality their product have. I they are not going to come by tomorrow I want my payment to be refunded in full. My customer code is 100412. i am tired of calling your phone nos. including toll free no. to say that one of your franchisee’s mechanic and obviously your service setup is making me suffer for past 5 days . this mechanic grown bigger than his boots left the machine unattended stating that switch for my w.purifier model ST-2000 NEED REPLACEMENT AND HE WILL COME BACK WITHIN AN HOUR . i have 2 years service contract fully paid in advance .and now i am made a sucker no drinking water for 5 days at home and we are compelled to buy water . IS THIS YOUR SERVICE STANDARD NOW A DAYS ? I WANT THIS SWITCH TO BE REPLACED BEFORE 12NOON BY TOMORROW ie. 7th july 2010. NONE OF YOUR ABOVE GIVEN NOS. IS AVAILABLE / OR DO NOT EXIST CURRENTLY . WHERE DO A CUSTOMER GO ???? ARE YOU NOT TAKING ME FOR GRANTED ??? BESIDE IMMEDIATE SOLVING THE PROBLEM , I WANT ONCE FOR ALL THAT YOU FIX THIS SERVICE MECHANIC ‘S ATTITUDE . I CALLED SEVERAL TIME HIS NOS , HE IS PURPOSELY NOT TAKING THE CALL ON 9836794852. HE IS A BLOT TO YOUR ORGANISATION. PLEASE REPLY TO MY MESSAGE AND SOLVE THE PROBLEM AT ONCE IF YOU MEAN BUSINESS. ANOTHER THING , CALL CENTRES ARE NOT FOR FASHION , ITS FOR COST EFFECTIVE ACTION,COORDINATION TO SOLVE CUSTOMER PROBLEM . THEY SIMPLY SAY EVERY TIME THAT MY COMPLAINT AFTER COMPLAINTS HAVE BEEN PASSED ON TO SERVICE DEPARTMENT. I WONDER WHO IS MANAGING SERVICE DEPARTMENT THAT YOU DONT HAVE COURTESY TO CALL BACK A SUFFERING CUSTOMER TO SAY WHEN DO YOU PROPOSE TO SOLVE THIS PROBLEM .